A paper by myself, the late BZ Mavedzenge, Felix Murimbarimba and Chrispen Sukume is just out in Development and Change (available open access). We asked, “What happens to labour when redistributive land reform restructures a system of settler colonial agriculture?” The answer is not obvious and, surprisingly, the question is not widely debated in Zimbabwe. Debates about farm labour in southern Africa have not caught up with the times, we argue. Discussion of ‘farmworkers’ is often framed in terms of dispossession and victimhood, focusing on the significant displacements that occurred during land reform, but has not explored what has happened next. Labour unions and NGOs, meanwhile, emphasise formal labour rights, assuming a full-time work-force under a single employer. Neither of these perspectives help in getting to grips with how those former workers on large-scale, white-owned commercial farms, often still living in farm ‘compounds’, gain their livelihoods in the post-land reform setting. This is a vital issue and, with the exception of work by Walter Chambati, Sam Moyo and a few others, has largely been ignored by researchers in recent times. How do former farmworkers gain a livelihood? 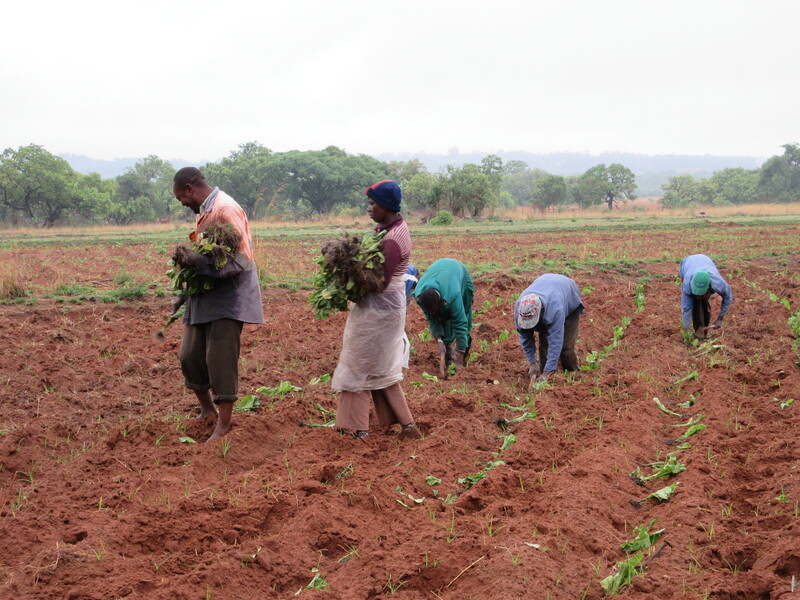 Based on several years of work in the tobacco growing area of Mvurwi in Mazowe district, the paper – Labour after Land Reform: The Precarious Livelihoods of Former Farmworkers in Zimbabwe – documents how a sample of former farmworkers currently gain a livelihood. We asked, how did farm labour — formerly wage workers on large-scale commercial farms — engage with the new agrarian structure following land reform? What new livelihoods have emerged since 2000? What new labour regime has evolved, and how does this transform our understanding of agricultural work and employment? The survey and biographical data show how diverse, but often precarious, livelihoods are being carved out, representing what Henry Bernstein calls the ‘fragmented classes of labour’ of a restructured agrarian economy. We identified four different livelihood strategies, differentiated in particular by access to land. There are those who were allocated plots during or after the land reform and are now A1 land reform settlers, but were formerly farmworkers (or their sons). There are then those living in the compounds with plots of more than one hectare, including rented-in land. Then there are those with plots/gardens of up to one hectare. And, finally, there are those without land at all (or just small gardens by their houses), who are highly reliant on labouring and other livelihood activities. These varied combinations of land access and labour practices make up diverse livelihoods, suggesting very different experiences of former farmworkers. Indeed, selling labour as a ‘farmworker’ is only a part of a much more diverse livelihood portfolio today, and the term ‘farmworker’ is in many cases redundant. The analysis highlights the tensions between gaining new freedoms, notably through access to land, and being subject to new livelihood vulnerabilities. Vulnerabilities are considerable, and the precarity of this diverse and numerous group of people living in the new resettlements and working on the farms allocated during land reform is emphasised through an analysis of household assets and activities. But within our sample, there are big differences. Despite access to limited land areas, and making use of skills developed when working on large commercial farms, some are accumulating and investing, provoking a process of differentiation, as some become more like smallholder petty commodity producers than ‘workers’. The findings from Mvurwi are discussed in relation to wider questions relevant to Zimbabwe and southern Africa more broadly. As we observe, across southern Africa, and beyond, agricultural labour regimes are changing from more formal, regulated systems, centred on wage-work, with clear conditions of employment, to more informal systems, where ‘work’, as paid employment, is only one element of a range of livelihood activities, part of a complex bricolage of opportunities put together often under very difficult conditions. This poorly understood reality is increasingly common, a consequence of wider processes of change under deregulation and neoliberal globalization. The reconfiguration of labour regimes, away from a clearly exploitative dependence on a commercial farmer, towards a more flexible, informal arrangement, does not mean that patterns of dependency and patronage disappear of course, as new social relations emerge between workers, brokers and new farmers, inflected by class, gender and age, affecting who gains what and how. The question of wage labour, combined with self-employment and farm work, in agrarian change processes is frequently poorly understood, we argue. Yet the emergence of fragmented classes of labour, centred on diverse livelihoods, is a common phenomenon the world over, reconfiguring our understandings of labour and work in developmental processes. By understanding how former wage-earning farmworkers adapted to the radical agrarian restructuring that followed land reform and how they became incorporated in the new agrarian economy offers, we argue, important insights into the changing pattern of agrarian labour regimes, with relevance far beyond Zimbabwe. More specifically, our findings have important implications for policy thinking. 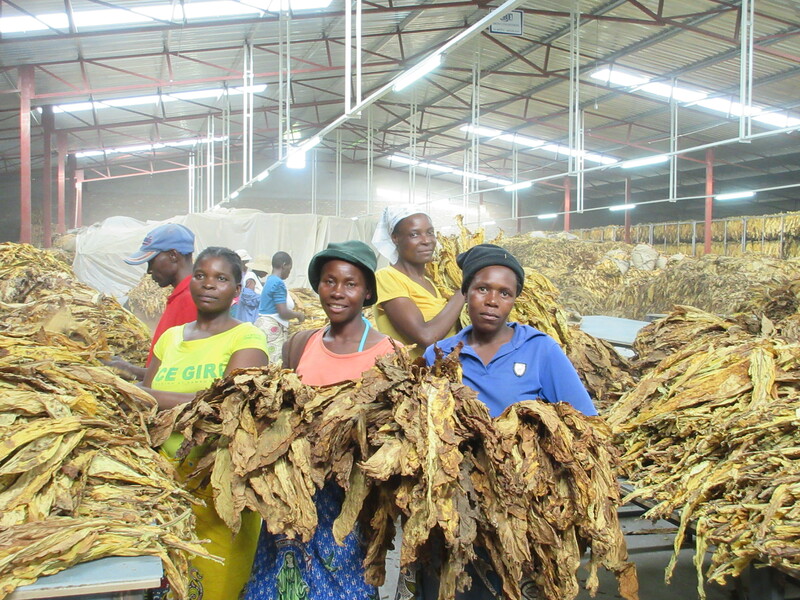 As we note, tobacco production, now the mainstay of Zimbabwe’s fragile agricultural economy, is highly reliant on labour, yet this must be secured under a very different labour regime to what went before. Some important new questions arise that need urgent attention. What labour rights do those living in the farm labour compounds have? What is the future of the former labour compounds in the new resettlements, where significant populations live? What other livelihood support is required, including access to land, to sustain the livelihoods of former farmworkers, now increasingly integrated in a new agrarian structure? Will, in the longer term, a more formalized, wage-work regime become reinstated, or will an informal wage economy combined with small-scale agriculture, involving diverse classes of labour, persist? We hope that the paper will help open up debate about farm labour, going beyond the standard narratives and engaging with the empirical realities on the ground. Land reform has thrown up many next-generation challenges, and that of farm labour is one of the most crucial. Walter Chambati, acting director of the Sam Moyo African Institute for Agrarian Studies, has probably contributed more than anyone to our understanding of how wage labour relations have changed following land reform. His most recent paper, in the Agrarian South special issue dedicated to the life and work of Sam Moyo, makes the case that wage labour exists across farms of all scales in Zimbabwe, and is not the preserve of large-scale capitalist agriculture. Indeed, as processes of differentiation occur in the new resettlement areas, demand for wage labour – often as short-term piecework – has grown. Based on studies in Goromonzi and Kwekwe in 2006 and 2014, the paper shows the different patterns of labour utilisation across sites and farm types. In Goromonzi and Kwekwe, 87% and 81% of A2 households hired permanent workers, with 5.5 and 2.7 hired on average. In the A1 areas, 32% and 22% households hired permanent labour, with 0.9 and 0.7 workers hired on average. Casual, temporary labour was much more important in the A1 areas, although with greater rates of hiring than nearby communal areas with around 60% of households hiring regularly. This is an important conclusion, with major implications for policy. If land reform has simply replicated the inequalities of the past, but in a new form, then the progressive gains of land redistribution have to be qualified. A key challenge then is to think hard about how labour becomes incorporated into the new agrarian system. Not just in the precarious, temporary, informal ways described in this paper (and seen across our study areas too), but allowing labourers to have rights and so the provision of minimum conditions, as well as rights to land. This is after all not a simple replication of the old wage labour reserve economy but a new dynamic where wage labour combines with small-scale agriculture, disturbing old class positions and identities. The old ‘farm worker’, trapped in a paternalistic relationship with a large-scale capitalist farmer, is rarer these days; instead those supplying labour to diverse new farms have different livelihood profiles and are constructing new identities, often as ‘worker-peasants’, combining part-time wage work with farming. This dynamic remains poorly understood, and varies dramatically across the country, by gender and age. Studies of new labour dynamics and the implications for rights, welfare, livelihoods and economy remain priorities for post-land reform research and policy debate. The work of Chambati – alongside Andrew Hartnack, Leila Sinclair-Bright and others – offers some important pointers on the way forward, getting us beyond the unhelpful characterisations of much commentary. 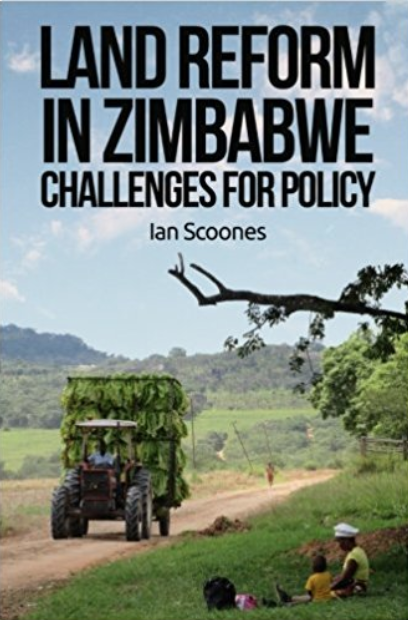 This is the seventh in a series of short reviews of new work on agriculture and land in Zimbabwe. Nearly all of these studies are by Zimbabwean researchers, reflecting the growing research capacity and ability to comment on important issues of policy in the post-Mugabe era. If there are other papers or books that you think should be included, please let me know!